For years, millions of Americans have called for a decrease in military spending as the United States is leaps and bounds ahead of all other states in military spending. Now, President Obama is proposing a new military strategy that would significantly decrease the cost in the military and improve the American financial situation. The goal of the military would now be to not front two big wars at the same time, but instead to cautiously tackle terrorism while at the same time being ready to handle any potential issues presented by China, Iran, Russia, or any state. Obama made it clear that the military budget is not being abandoned, as roughly the same amount of focus will go into it, but over the next decade, there will be very little growth, if any, in the military budget. Obama spoke of the end to the Iraq War and the preparations for the conclusion of the Afghanistan War. He said that with those wars coming to an end, there is simply no need to spend so much on the military. 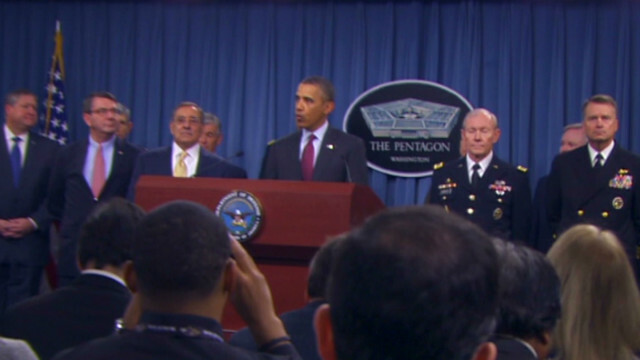 The overall goal of Obama’s new plan is to create a leaner military that is more efficient. Essentially, the emphasis is on quality over quantity.